In this study subjects performed a bimanual coordination task, where spontaneous transitions between states is observed at higher oscillation frequencies. For example, when limbs are moved in a parallel fashion (like windshield wipers on a car) a transition is seen at faster speeds whereby subjects spontaneously change to performing mirror-symmetrical movements. We applied non-invasive direct current stimulation (tDCS) in a simple pre-post design to the supplementary motor area (SMA) to determine if changing the excitability of this brain area would affect these transitions. 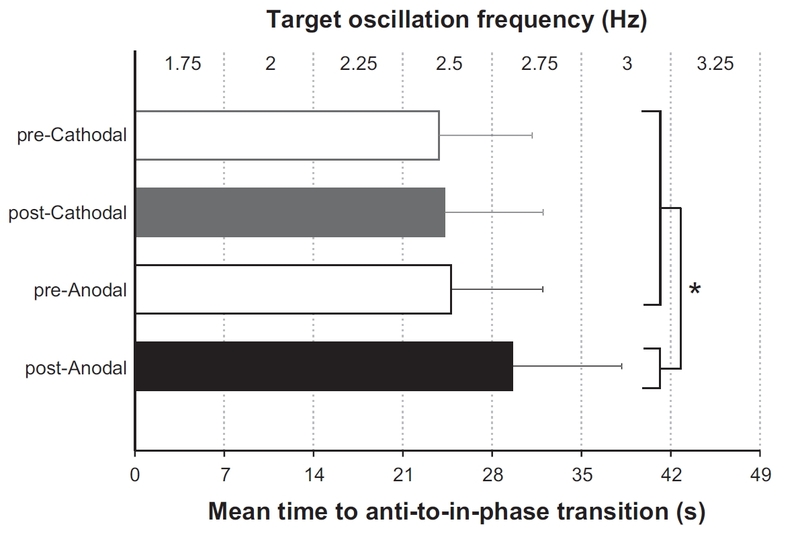 We showed that the more difficult pattern was able to be maintained for a longer period following anodal tDCS. 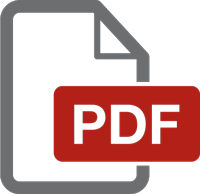 JNP, neurophysiology, publication, tDCS. Bookmark.